PALMVIEW – City commissioners have a lot to consider in the wake of management review that resulted in the placement of City Manager Ramon Segovia on paid leave. The review, conducted by Paul Vazaldua of Vazaldua and Associates found that the city lacked proper policies and procedures and their policies and procedures manual had not been updated since March 21, 2000. Commissioner Joel Garcia, who came into office in November, said the city’s lack of procedures surprised and concerned him the most. “Our job is to enforce policies but if there’s no policy to enforce, what do we do?” Garcia said and later stated the city was working on implementing new policies and procedures for the city. He said there was still a lot of work ahead and said they brought in interim City Manager Leo Olivares to begin working on implanting new policies. Garcia said they were still reviewing everything that Vazaldua reported to them, which will be instrumental in ultimately deciding what they will do in regards to Segovia.. But Mayor Gerardo “Jerry” Perez didn’t think the review was fair to Segovia and questioned Vazaldua’s ability to get an accurate assessment of the state of the city’s administration in the time he was given. “To be able to measure just the particular timeframe and don’t have any history of the city, it’s very easy to say well this should have happened,” he said. Vazaldua said he disagreed with that because the review revealed immediate needs for the city. Despite not seeing eye to eye, Vazaldua said he felt the city commissioners were receptive to him. Perez did agree the city needed improvements but said those occurred in phases. Perez opposed the hiring of Vazaldua and refused to sign his contract. 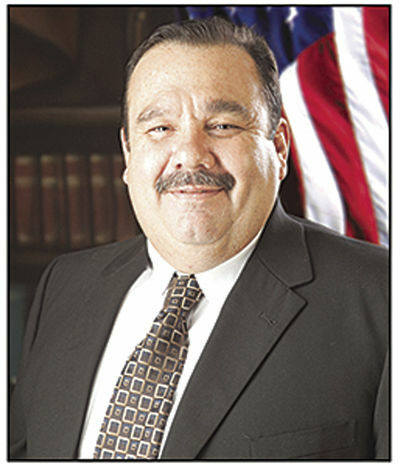 Mayor Pro-Tem Joselito Hernandez eventually signed Vazaldua’s contract. The mayor said he disagreed with Vazaldua’s recommendation for a procurement policy which would establish what the city manager would need before seeking authorization to go out for bids. Perez said he didn’t think it would be reasonable for a commissioner to ask the city manager to place something on the agenda and expect him to have everything prepared by the meeting just a few days later. But Vazaldua also explained that a procurement policy would establish a timetable for the city manager to prepare what he needed to present to the commission. Commissioner Linda Sarabia, who also came into office in November, said it bothered her that Perez didn’t think their lack of procurement policy was not a big deal and said just because that was the way the city had functioned for years, didn’t mean it was right. For years she said previous city councils failed in their responsibility to ask questions and request updates. “He had (inherited) a big mess but perhaps didn’t make it a priority because the council was okay with it,” Sarabia said referring to Segovia. The city, according to the review, lacked job descriptions, resumes and performance evaluations for many administrative staff members. Sarabia said she did think there was a problem of hiring from within the city given the lack of job posting but said it wouldn’t be a problem if the people were qualified. “I’ve always said that if someone is good at their job, then you see it in the results but the results are not there,” she said. In regards to Segovia, specifically, she said he was qualified for the position and stressed that she wasn’t saying that he was bad city manager. However, she said that if he had surrounded himself with the right, qualified people, the review would not have turned out so negatively. Among Vazaldua’s other recommendations was for the city to terminate, create job descriptions, and post for applicants for the positions of city manager, assistant city manager, and city secretary. “Any city manager, assistant city manager, or city secretary – by nature of their job, by nature of their training through TML, the Texas Municipal League – should know that policies and procedures must be in place in city government,” Vazaldua said. He said there was no doubt in his mind that the city manager prepared and moved projects forward but said the issue was that when policies and procedures are not in place, it creates confusion as to what the roles of the city council really are.